The Chicco Keyfit 30 Infant Car Seat and Base is regarded by many parents as the ultimate baby car seat and base – portable, cost-effective, highly convenient and very easy to use, this baby seat is the perfect combination between comfort, security and safety. The set comes with a removable newborn insert, and it can be used by toddlers who weigh between four pounds to as much as 30 pounds. Moreover, the seat of this Chicco baby car seat is thickly cushioned and it also features an advanced and reliable five point safety harness, while the overall seat and base are made using high quality, energy absorbing foam that decreases the likelihood of injury in case of an accident, and that also adds to the overall comfort of the baby. 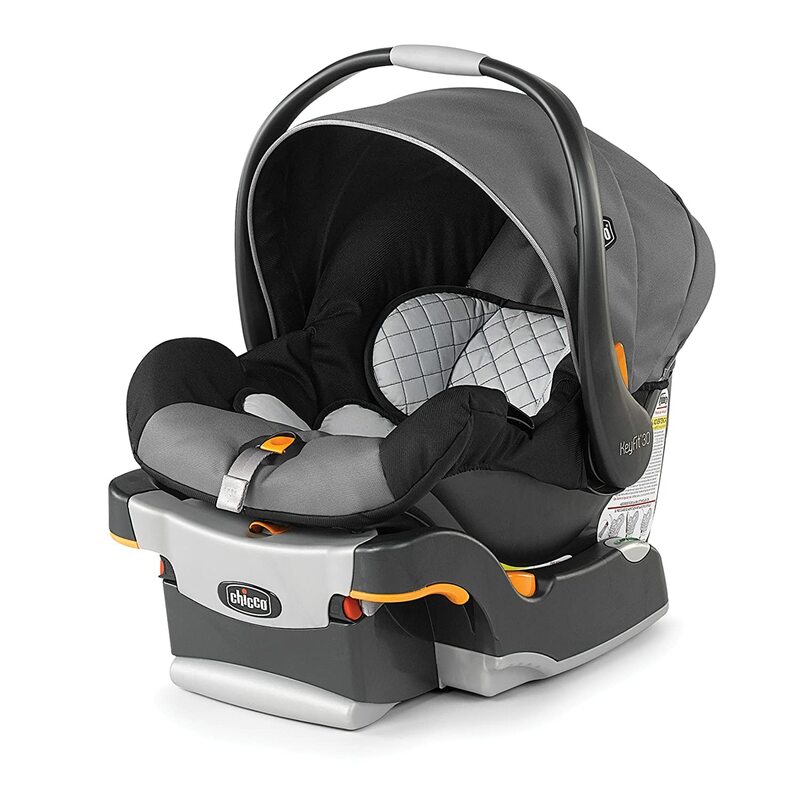 The base features an unique and advanced reclining mechanism based on springs, along with other notable features such as the Ride Right easy-to-see bubble level indicators that help parents see when the base and the seat sit perfectly straight, or the Super Cinch LATCH tightener that guarantees the safety of your child. That being said, this Chicco Keyfit 30 Infant Car Seat and Base will emphasize on the advantages and disadvantages of this infant car seat and base, according to parent reviews and testimonials. Many parents seem to be thrilled with the fact that this infant car seat and base is fully compatible with some of the most popular strollers sold by Chicco, such as Chicco Cortina, the Caddy Frame Stroller, the Liteway Plus stroller, Chicco Trevy and others. Moreover, another important advantage is the removable newborn insert which is designed for smaller baby – this way, you can easily seat your infant car seat and make it adapt to the ever-changing needs of your baby. As mentioned above, this baby car seat comes with an easy to use and reliable Recline Sure spring-loaded leveling foot system that comes with a simple and straightforward push button adjustment mechanism, thus allowing you to quickly modify the base angle of the entire ensemble in the vehicle seat. Chicco Keyfit has made a name and a reputation for itself by providing advanced, secure state of the art infant car seats such as this one, and most parents seem to agree upon the fact that it is the high level of safety and security offered by the LATCH system embedded in this seat and base, that actually make it stand out from the rest. There are two main things parents have complained about, when it comes to this car seat and base: the first one is the fact that the seat tends to get extremely hot, especially during the hot summer days, which can make the child feel very uncomfortable especially during long car rides. The second aspect is that, as several parents have claimed, their child got skin dermatitis after sweating in the seat, and they believe it is because of the chemicals that were used when making the seat. Overall, this car seat and base does offer a good value for the money!